On 30 July 2017, people in Gilgit-Baltistan gathered to protest against the China-Pakistan Economic Corridor (CPEC) whose brutal implementation already caused considerable economic and environmental harm in the region. As part of the CPEC infrastructural project, the government demolished houses and seized farm lands from local residents, displacing a large number of people and destroying their livelihood systems in the process. In addition to that, Islamabad tries to silence activists who oppose the project by unlawfully detaining them on grounds of alleged “sedition”. 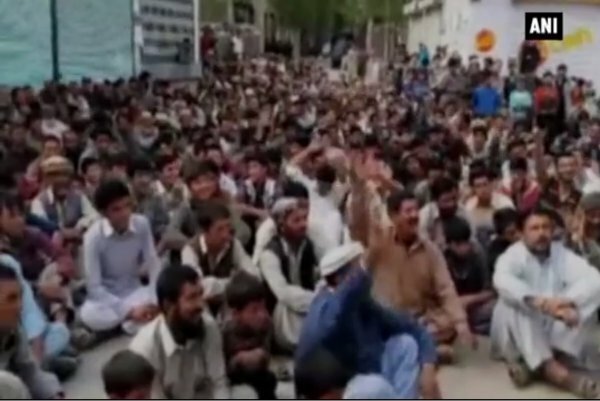 People in Gilgit-Baltistan on Sunday [30 July 2017] came out onto the streets protesting against China and the multi-billion-dollar China-Pakistan Economic Corridor (CPEC) which passes through the region. They were protesting against the project as they fear it would create a huge ecological imbalance. A large number of people in the region have been displaced as their houses have been demolished and farm lands acquired for the CPEC project. The local residents of Gilgit-Baltistan claim that the government has not compensated them for their lands as promised. It has been 8-10 years since we have been waiting for the compensation. We have lost animal shelters and shops but nothing has been compensated. Local officials are also not working properly. We have lost 500-600 trees and two-three kanal (unit) of land has been damaged. We have reminded them several times, but concrete action has not been taken, a local resident of Gilgit-Baltistan said. Though Gilgit-Baltistan plays a key role in the CPEC project and all roads and pipelines crossing into China from Pakistan will run through this mountainous region, not a single Special Economic Zone is being set up here to support the local residents. It has been over eight years since the government had acquired our land for the road construction. Our land had fruit trees and we used to earn rupees 8,000 to 10,000 from one tree. We have lost around 10 fruit trees and we have no idea about the compensation, another local resident said. People also fear that the multibillion dollar project will hardly benefit them and is a deliberate attempt to change the demography of the region. Gilgit-Baltistan is home to some 101 peaks of over 7,000 metres, four national parks and four glaciers. The China Pakistan Economic Corridor (CPEC) is passing through these peaks, glaciers and national parks. The glaciers of Gilgit-Baltistan are the water banks of Pakistan which will start melting. Secondly, the national parks of Gilgit-Baltistan have a unique wildlife which is not seen in any part of the world, that will also be affected, a local resident said highlighting the ecological impact of the CPEC project. Political activists, who have opposed the CPEC, have been slapped with sedition charges by Pakistan and hundreds are languishing in jails across Pakistan. The people of Gilgit-Baltistan have been urging the international community to focus on the illegality of the CPEC as it does not have the approval of stakeholders and without their approval the corridor should not be built.